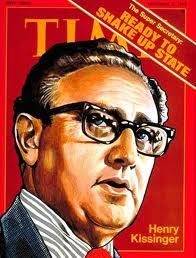 Henry Kissinger was the National Security Advisor and Secretary of State under Presidents Nixon and Ford in the 1970's. He was also quite the quote-meister as evidenced above. We love finding data that goes against the 'conventional wisdom' of the day which many times is neither 'wise' nor 'conventional'. Herds of people tend to glom onto the facts they agree with and ignore the rest which makes it very difficult to engage in a lot of open-minded discussions with people from both ends of the political spectrum. If enough people say that something is 'absolutely true', well, after awhile, enough people come to believe it so that it is 'perceived to be true' whether it actually is or not. 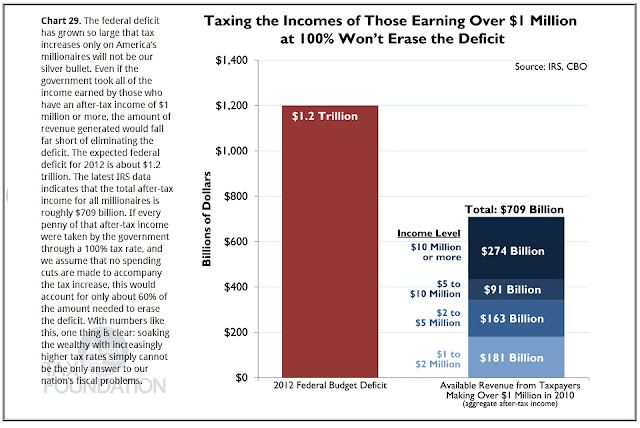 You might want to take a look at them before you enter your next political/tax/budget conversation. So Lebron James and all the other NBA/NFL/MLB stars who earn tens of millions every year are in the same category as Bill Gates and Warren Buffett as the 'filthy rich' because they actually earn over $1 million annually for a period of time versus the 50% of the people who make a million in one year due to the sale of a business or farm...and that is it. 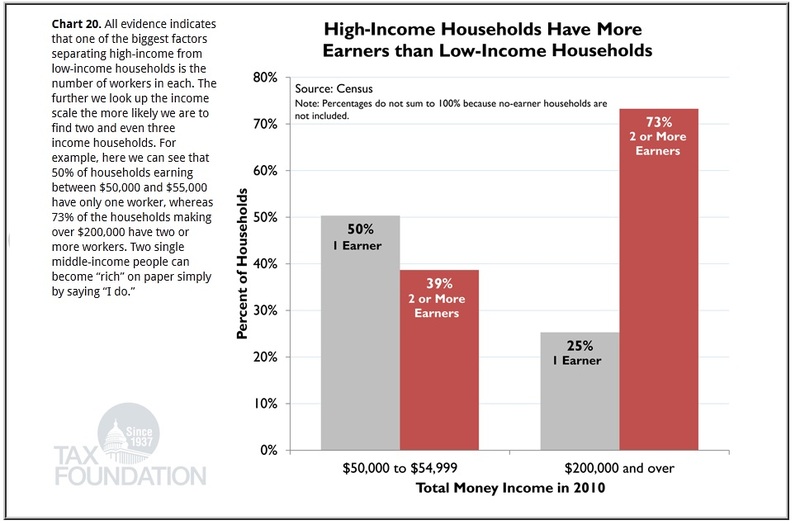 Married people or people who file jointly tend to report higher incomes to the IRS than households with 1 income-earner. Stands to obvious reason, yes? The Boomers have been the pig in the python for everything from the explosion of elementary and secondary schools being built in the 1950's and '60's to the 'Flower Power' of the late '60's/early '70's to the high number of homes built in the '80's and '90s to the amazing growth expected in Medicare and Social Security over the next 20 years. 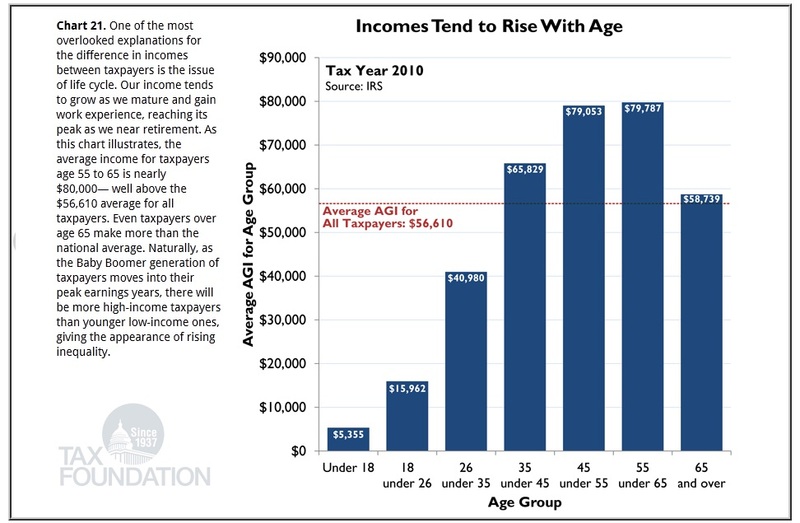 Once the vast numbers of Boomers go on to the Great Beyond, the income disparity should decline. It won't just be the 'fat cats' on Wall Street who will be dinged by any increase of taxes on income over $200,000 if President Obama gets his way on the tax impasse we are now facing. 5. We Could Confiscate The ENTIRE INCOME EARNED by Everyone in America Who Made Over $1 Million in Income (including LeBron James) in 2010....and We Would STILL NOT BALANCE THE BUDGET! This one is so self-evident that it doesn't need any amplification. So do these charts. 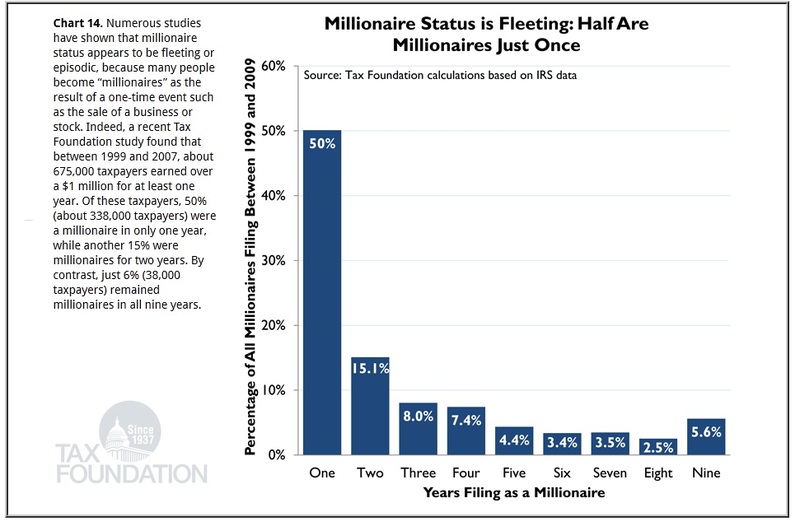 Take a look at the full panoply of charts in Mr. Pethokoukis' blog noted above or go to the Tax Foundation website and download them yourself. 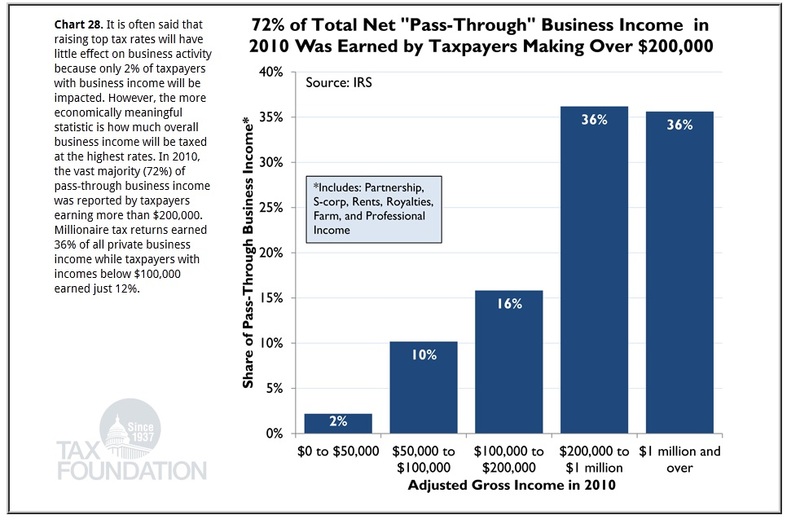 We can show you similar charts from CBO, OMB, the 'Green Book' from the House Ways and Means Committee or the Joint Committee on Taxation. They all show the same basic facts which is where the Tax Foundation no doubt draws much of the data for their charts. There is a big difference between taxes paid and marginal tax rates. There is also a big difference between what you hear on the news everyday and read in the newspapers versus what the actual facts are. Arm yourself with facts and figures. You'll be surprised how much easier it is to talk to people about these momentous issues we face...namely because you will 'dazzle them with your brilliance' and perhaps stir up some of the preconceived notions they have embedded in their brains. Kissinger's quote, “It is not a matter of what is true that counts, but a matter of what is perceived to be true," is unfortunately only half right. What is true DOES count - a lot. But when there is a significant difference between what is true and what is perceived to be true, BIG problems follow. He was commenting on the state of affairs in politics. Lee Atwater reduced this comment to his famous: 'Perception is Reality' comment which underlied his political strategy in many cases.